Can You Save Money With a Discount Real Estate Broker? To talk about discount brokers is to say there are standard-fee brokers, and nobody will own up to that statement. Why? Because all real estate commissions are negotiable. However, many real estate brokerages, hoping to capitalize on the growing realization among consumers that real estate commissions are negotiable, have created market niches for themselves that promise to save sellers money and rebate commissions to buyers. How Do Discount Brokers Operate? In Minneapolis, for example, the traditional brokerage fees are as high as 7% of the sales price. The average co-brokering fee, the fee paid to selling agents who cooperate, is often as low as 3.15%. So those listing agents make a lot more money than selling agents. An agent in Minneapolis was advertising fees of 4.5%, giving 2.5% to the selling agents and keeping 2% for her company. After a client explained to her that she would gladly pay 5% if the agent would co-op 3% to the selling agent, the agent changed her advertising policy, figuring she was still 2% under the rate most other brokers charged. Some brokers advertise it will take a listing for 1% or 2%. Again, many of these brokers don't draw attention to the fact that the selling broker, in most instances, is still paid an additional fee by the seller. You can also find real estate agents who advertise that if you hire one of them to buy a home, the company will credit the buyer a percentage of its commission or a flat-fee at closing. This money comes from the fee the seller pays the broker who presents the buyer. Generally, a company that elects to give away part of its income to buyers does so in the hopes that it will attract such a huge volume of business that it won't miss the money. You may or may not receive individualized attention and service due to increasing pressure on these low-profit companies to keep the business coming in the door. These brokers offer a cornucopia of fees and services, depending on the type of representation and work required. For example, if you think you can sell your home without any assistance from the listing broker, you might be able to work out an arrangement for MLS input only. This means the broker will put your home into the multiple listing service but take no phone calls from agents, will not show your home, nor put a sign in the yard or advertise it elsewhere. Some MLS groups prohibit this practice, but it's done anyway. On the other hand, if you want the listing broker to handle increased responsibilities, the fee will go up, but it will still be less than most full-service brokerages charge. A few brokerages subscribe to the theory that two in the bush is better than one in the hand. 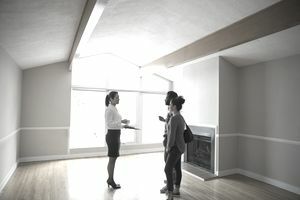 If you agree to buy a home through the listing brokerage instead of hiring a selling agent, many times the broker will reduce the listing commission fee. Why Would Sellers / Buyers Accept Reduced Services? To save money. That's the number one motivation. Some sellers are extremely savvy about selling their own homes and don't believe they need a full-fledged marketing campaign. Sometimes they don't. Especially if it's a seller's market. Where Can You Find Discount Brokers?